Well, I thought it only fair that if I did a painting of a Ruby-crowned Kinglet, that I should do one of the other species that has been hanging about in the large hackberry tree in my back yard. When I initially spotted these, they were moving so fast that I had a difficult time getting some good field marks. I quickly noted the dark streaking, and the yellow on the breast sides, and the rump. I was told that these are very common warblers, but hey, it's the first time for me! And I didn't have to burn a bunch of fossil fuel to go scramble around somewhere else trying to catch a glimpse of it. Backyard birding is good for my carbon footprint. 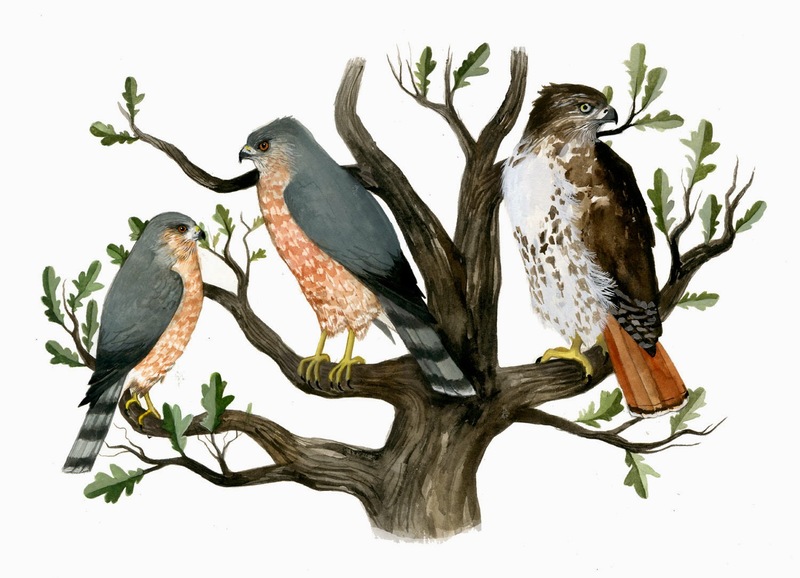 There are two variations of Dendroica coronata: Audubon's and Myrtle. The Audubon has less white than the Myrtle. 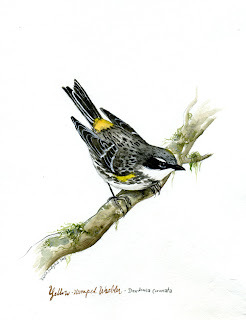 This is a painting of a male Myrtle, which is what I had in my yard. Have a lovely weekend, and I hope that it's spent outside.